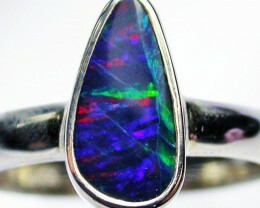 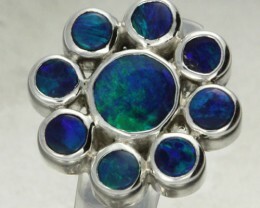 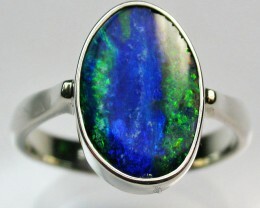 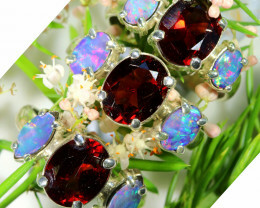 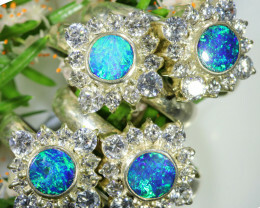 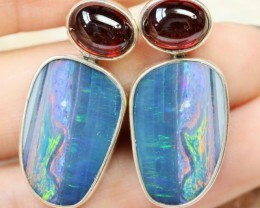 This is a bright Opal doublet ring.The doublet has been made from natural crystal from Coober pedy backed on to ironstone. 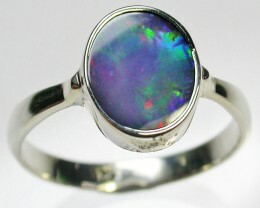 It has been well polished and bezel set in silver. 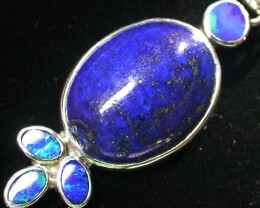 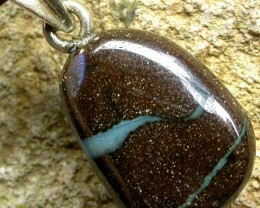 Weight of stone and silver: 9.06 cts.